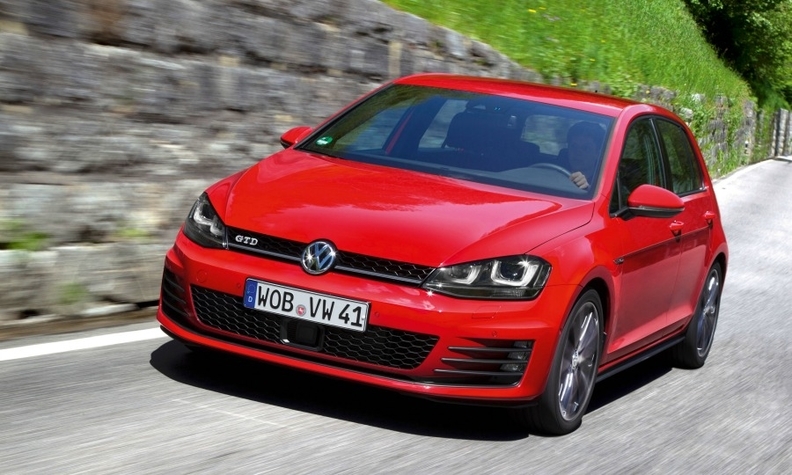 VW's Golf outsold its closest competitor by more than a 2-to-1 margin in Europe last year. Most volume automakers face double trouble in the crucial compact segment. They need to find a way to win sales from the dominant Volkswagen Golf while also defending against premium brands aggressively pushing into the segment. The upside to the tougher competition is the fast-rising quality of the cars offered in Europe's second-largest segment after subcompacts. "The market is so mature that when you look at the main competition you're looking at competent motor cars," Nissan Chief Planning Officer Andy Palmer told journalists at the Geneva auto show last month. 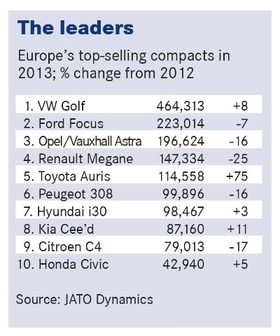 "Compacts are still the center of the market for Europe." Nissan will return to the segment with a mainstream hatchback by year-end following an eight-year absence, during which time the Golf seldom lost ground to competitors as it kept not only its segment lead but also its ranking as Europe’s No. 1 seller overall. VW’s most important vehicle outsold the second-placed Ford Focus by more than a 2-to-1 margin in 2013, which was the first full year that the seventh-generation Golf was available in Europe. That hard work is paying off so far as the new 308 looks set to break the 100,000 sales mark this year and improve on its sixth-place finish in the segment last year. The 308 was named 2014 European Car of the Year last month and Peugeot parent PSA/Peugeot-Citroen said in March it will increase production of the car after receiving 60,000 orders since its launch last October. The 308, however, would slip to ninth in the segment if premium compacts from Audi, BMW and Mercedes-Benz joined the list. When added together the Audi A3 (167,015), BMW 1 series (152,453) and Mercedes A class (130,864) accounted for 450,332 sales last year, that’s nearly as many as the Golf’s 464,313 units. Add the Volvo V40’s 74,472 sales and the volume for premium compacts was nearly 525,000 units. That’s a significant loss of sales for the volume brands. 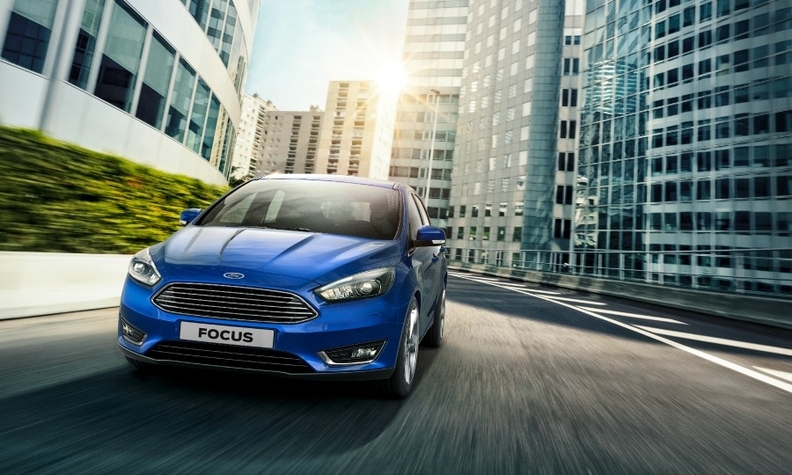 Ford has improved the updated Focus' infotainment and automated parking features to better compete in the compact segment. Ford and Opel are relying on technology upgrades to win back buyers after a year in which both suffered falling sales for their compacts. At the launch of the face-lifted Focus earlier this year, Ford of Europe CEO Stephen Odell told journalists that the new car was now “one of the most sophisticated mass-market vehicles on the planet.” New features include the latest generation of Ford’s Sync touch-sensitive and smartphone-linked infotainment system as well as automatic parking into perpendicular spaces in addition to parallel parking ability. Opel meanwhile announced at the Geneva show that it would make parent General Motors’ OnStar infotainment and safety service a standard feature on most new models, including the Astra compact, starting 2015. OnStar offers embedded 4G WiFi capability. IHS analyst Fletcher warned, however, that customers might reject the new technology if it is not intuitive enough. “I think there comes a point where unless it’s very easy and accessible, your average person will get frustrated more often than not by it,” he said. U.S. and European manufacturers are also coming under pressure in the segment from resurgent Japanese brands. Last year Toyota improved sales of its British-built Auris compact by 75 percent to move into fifth place behind the Renault Megane. This was largely because of strong sales for the hybrid Auris, which accounted for almost half of the model line’s volume. Meanwhile Honda’s frugal new 1.6-liter diesel boosted sales of the Civic by 5 percent to move it into 10th place. To gain even more share in the segment, Toyota and Honda will start offering station wagon versions of their compacts. Among models in the top 10 last year, only the Citroen C4, which ranked ninth, lacks a compact wagon variant. Sister brand Peugeot unveiled its 308 SW model at the Geneva show.